At the meeting, Modi and Xi discussed joint efforts to further enhance mutual trust and friendship between the two giant neighbours. Prime Minister Narendra Modi on November 30 met Chinese President Xi Jinping on the sidelines of the G-20 summit and the two leaders concurred there had been a perceptible improvement in bilateral relations, even as they looked to build on a thaw in ties after a standoff on the border last year. Asserting that the Wuhan meet was a milestone in the India-China ties, Modi told Xi that he was looking forward to host him for an informal summit next year. "Such initiatives are helpful in maintaining the momentum," the prime minister said, adding that there "have been two review meetings -- in Qingdao and in Johannesburg". The chill between the two sides later improved resulting in an informal summit between Modi and Xi at Wuhan where the two leaders decided to issue "strategic guidance" to their militaries to strengthen communications to build trust and understanding, a move aimed at avoiding a Doklam-like situation in the future. Modi said Friday's meeting will strengthen further the partnership between the two nations. "Today's meeting will be important in providing a direction in terms of strengthening our relations," he said. "I express my heartiest thanks to you (President Xi) for taking out time for this meeting," the prime minister said. Modi later tweeted, "Had a wonderful meeting with President Xi Jinping on the sidelines of the G-20 Summit in Argentina. The talks revolved around a wide range of bilateral and global subjects. Our regular interactions have added significant strength to India-China ties." According to Foreign Secretary Vijay Gokhale, the two leaders said that there had been a perceptible improvement in bilateral relations. "Both of them had a very detailed review of what they agreed to in Wuhan and how it was progressed. Both of them said that progress has been made on the economic side," he said. Xi referred to enhanced imports of rice and sugar from India and spoke about the possibility of greater import of soymeal and rapeseed. He also expressed the hope that India would import more agricultural products from China. Xi also indicated greater trade between the two nations in the pharmaceutical sector, Gokhale said. "On the political side, they welcomed the visit of the Chinese defense minister, of the holding of the counter-terrorism military exercise next week in India and the recently concluded special representative talks. "Both leaders (said) that there had been a positive improvement in border management along the India-China border areas following the Wuhan summit," the foreign secretary said. 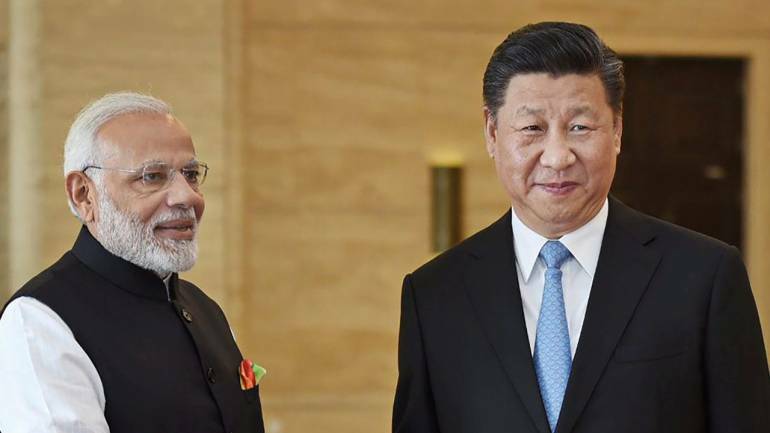 Modi and Xi also said that they were looking forward to the first meeting of the high-level mechanism on people-to-people exchanges in New Delhi in December. "Both sides also specifically mentioned that the first bilateral cooperation that had begun in Afghanistan which is the training of Afghan diplomats, had been successful and that they were looking for further such opportunities," Gokhale said. External Affairs Ministry spokesperson Ravish Kumar tweeted, "Working together to strengthen the Wuhan spirit.